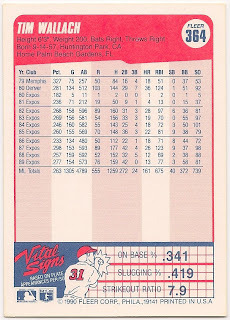 Card review: 4.9 This card boasts an ugly design, a low quality photo, bad colors, and huge production run. 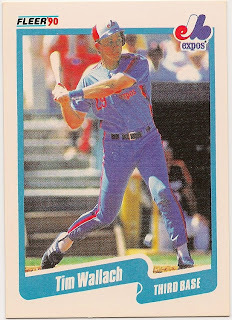 Fleer gets an "F" for this one, and the 1990 set as a whole. 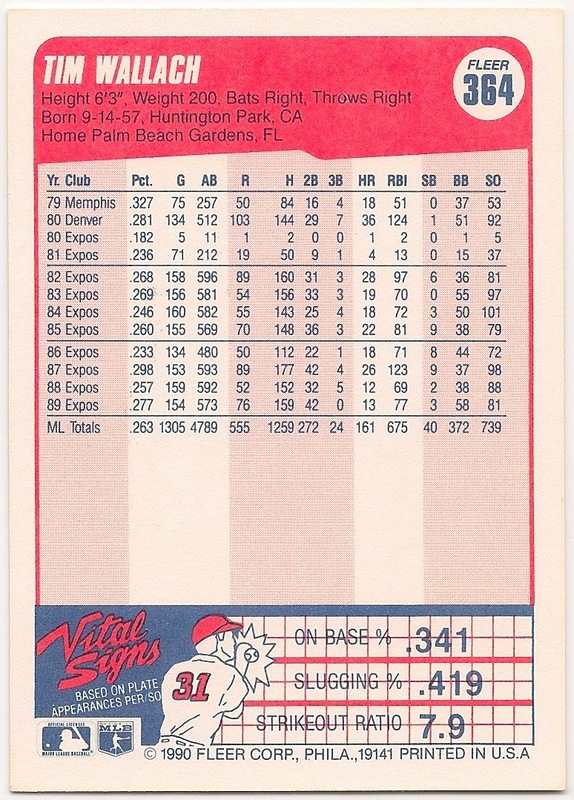 This may very well be my least favorite Wallach base card put out by any of the three major manufacturers from '82-92.